*Prime Yonge & Eglinton! *The Montgomery Is Proudly Presented By Rockport+Managed By Rhapsody! *Brand New+Ready Jan 2019! *Outstanding Community+State Of The Art Amenities! *Condo Style Living In The Heart Of Midtown Just Steps To Subway,Ttc,Shopping,Restaurants+All Amenities! 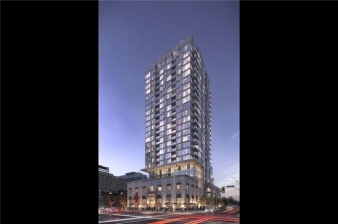 *Spectacular 3Br 2Bth S/W Corner Upper Penthouse Suite W/Wrap Around Terrace+Bbq! *Lots Of Floor To Ceiling Wndws+Light W/Panoramic Cityscape Views! *Approx 1059'! *Move In Mar 1/19!